There is a lot of hype in Internet marketing about driving more traffic to a website – after all, what good does it do if your customers can’t find you on the Web in the first place? You can only sell your products and services to those that actually visit your website, so driving traffic is definitely a good thing. Many business owners spend a great deal of time and money on driving traffic to their sites. Through Internet marketing tactics such as pay-per-click campaigns, search engine optimization (SEO) and email marketing, traffic increases by leaps and bounds. This is the first step. Once the traffic is flowing into your site, what do you do with it? How do you motivate those visitors to actually purchase something and return or better yet – tell their friends about your products and services? How do you get them to spend a little time on your website and do what you want them to do? The answer is simple: increase conversion. Conversion is the act of getting the visitors to your site to either directly buy something or sign up for a newsletter so you can further your relationship with them long after they’ve left your site. It’s getting them to do what you want them to do rather than simply leaving without doing anything. 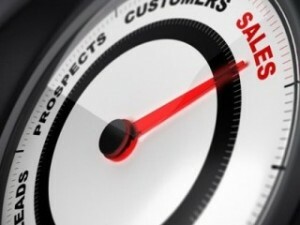 Let’s look at an example of conversion and how it can increase your sales. If 5,000 people visit your site in any given month, and 50 of them either buys something or signs up for your newsletter, your conversion rate is 50/500 or one percent for that month. However, if those 50 people buy an average of $200 worth of products or services each, you’ve made $10,000 in that month. Now, imagine that your conversion rate doubles to two percent with the same average sale of $200 per customer. You’ve made $20,000 by increasing your conversion rate and without spending any more money to drive the traffic. You have the same number of visitors, but more of them converted into customers! The very first thing we do is make sure your website is conducive to converting your visitors. If you already have a website, we check it over and suggest changes that will help your traffic become paying, subscribing, returning customers. If you don’t have a website, we’ll build one for you that’s completely customized and conversion-friendly. Simplicity – When people visit your website, you want them to be able to find what they’re looking for quickly and easily and be able to focus. If a web design is complex or has a lot of flashy animations or large images, it can be a turn-off and cause your visitors to leave immediately and seek out your competition instead. We understand you want your website to look good, but trust us when we say, simple is definitely the way to go when designing a website. You want graphics to load quickly and you want the focus of your website and its pages to be glaringly obvious. The less a visitor has to search for the information he or she wants, the more likely they are to remain on the site and browse around. Call to Action – Want your visitors to convert? Tell them what you want them to do. Many websites fail to convert customers because they don’t tell them what they should be doing while on the site. Every single page on your site should include a call to action of some sort – even if it’s just to contact you for more information. Efficient Navigation – We like to say we think like a customer when we build or redesign a website. Thinking like the customer enables us to realize how important to conversion efficient navigation is on a website. The goal here is to provide visitors with easy access to the features and functions you want them to use most. For instance, if you want them to use your eCommerce functions, we link them directly to your eCommerce shopping cart anytime it seems logical to do so. The rule of thumb here is never make the visitor search for anything. As mentioned earlier, many business use pay-per-click advertising. This is a great tactic for driving traffic to a site, but it can be done incorrectly and decrease the conversion rate for a site. One of the common mistakes people make when using pay-per-click ads is linking them to the wrong page. Say a customer found you for the search term “womens boots.” When they click your link, it should take them directly to the page on your site that features women’s boots, not your homepage. It’s little mistakes like this that mean big losses in terms of conversion. These are just a few of the ways The NY SEO Company helps convert your visitors into customers. We have many more tricks up our sleeve to help you achieve higher conversion rates. We also offer a bevy of other Internet marketing services to help you rank higher in the search engines, provide quality content for your readers and manage your social media. We are your one-stop shop for all things Internet marketing and can’t wait to help you reach your goals.